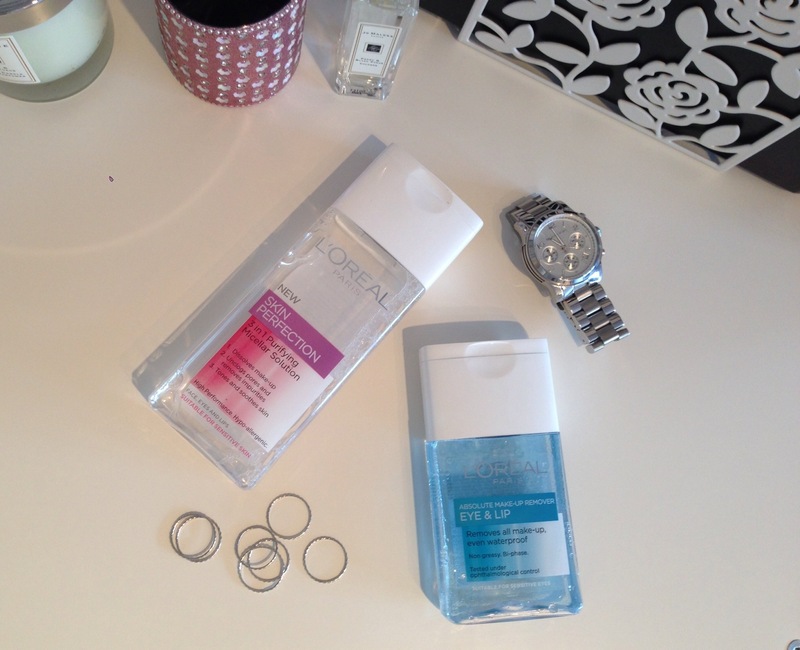 micellar – The Beauty Spot. Sorry about the extended title, I usually keep them pretty short, but I can’t really shorten that! 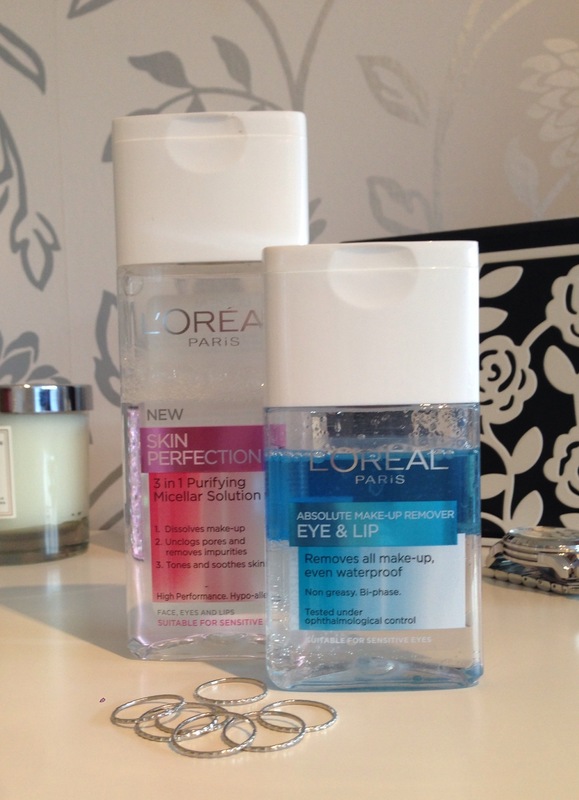 If you have been around these parts for a while you may have seen me briefly talk about the Loreal Paris Skin Perfection Micellar Solution in an empties post. In that post I did say that I wouldn’t repurchase and here I am with a brand new bottle (I’m so weak!). Since then I’ve tried another two micellar waters and in general, they both did the job, but one smelt too strong and the other was too expensive for what I wanted to pay and for the size of the bottle. So I’m back to the trusty Loreal. It really is a great product for lazy night time removal (don’t kill me!) or a pre cleanse to a face wash or cleansing balm. I don’t ever use this to remove my eye makeup as it really doesn’t do much to budge it. It doesn’t really have a smell per se, which sometimes bothers me as I like things to smell nice, but, I suppose the fact that they haven’t added ‘parfum’ means they’ve drastically cut down on the potential ingredients, meaning its better for the skin. I love the ease of this cleanser. Easy to pick up in store and I know it will be effective and not give me any sort of irritation. It’s also great to know it can be grabbed for a night or weekend away, or put in your beach bag for daytime refreshing of skin on the beach! For the price you really can’t go wrong! I can’t compare it to Bioderma as I have never used it, but if you go on what every other blogger says about this, then it’s a total dupe! The Eye Makeup Remover was a bit of a chance purchase. I had seen Lily Melrose claim that this was a dupe for the Clarins Instant Eye Makeup Remover, I thought ‘How could it be? !’, but decided to give it a whirl for myself. Previously I had been enjoying a Garnier one which I really love and do feel that is very similar to Clarins. Anyway, I digress! I like the packaging of this remover, it’s small and compact, but I do find the lid gives me the same problem as the Micellar Solution. I get some wastage every time I pour the product on a cotton pad. I also find that it separates almost too quickly to use it. I hate to have a bi-phase product where you end up using the top layer more just because it doesn’t mix properly. And for me, this is where it differs to Clarins, because that mixes really well. In terms of result, the Eye Makeup Remover is effective and gentle on the area. I do have to let it soak on the ye for a little loner or go over a few times to remove that pesky Benefit They’re Real, but that mascara is a good test for eye makeup removers. I find all bi-phase removers will leave some sort of residue on the eye area, but I am usually removing my eyes (!) first so I wall always go over with a cleanser or micellar anyway which would remove any left over product. All in all, I like both of these products. I think next time I’m in the market for these products I’ll give the Garnier micellar water a try – the lid looks better than this one and I think the bottle is larger for a similar price. And I’ll probably go back to the Garnier eye makeup remover that I’ve had before – again mainly due to size of bottle vs this one and price point. What do you think of these products? How do they compare to things you have tried before?